Using this tutorial WILL NOT ERASE YOUR DATA if you are currently on stock firmware. However, if you are coming from a custom ROM, you will have to do a factory reset in TWRP(which will erase all your apps/settings but won’t erase your personal files in internal storage). Note: This tutorial assumes you already have rooted Pixel phone with TWRP recovery installed. If you lost TWRP recovery somehow, you can use Flashify app to reinstall TWRP recovery. Step 1. 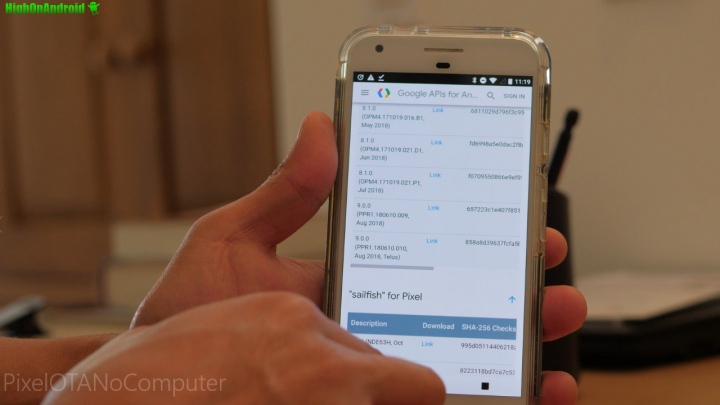 Go to Google’s Pixel OTA Download page and download the OTA zip file you want to install. In this example, I am installing Android 9.0 Pie on my Pixel XL. Step 2. 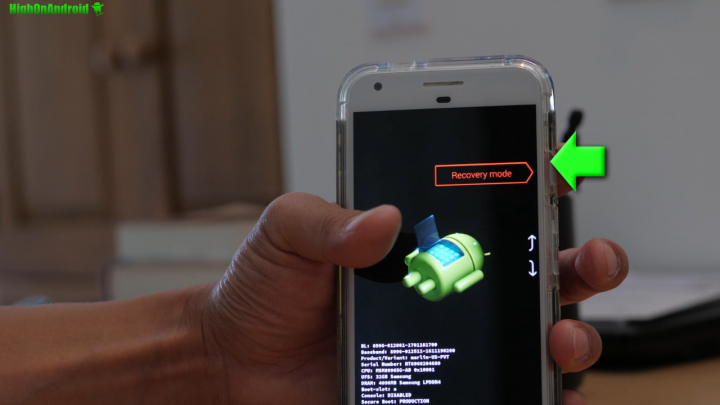 Applying OTA will overwrite your current TWRP recovery with stock recovery. If you want to be able to access your TWRP, you will want to also download latest TWRP installer zip file from TWRP.me. Also, if you want to keep root, you will also have to download Magisk zip file. Before you begin, you should have THREE FILES, the OTA, TWRP installer, and Magisk!!! Also turn off any security such as your fingerprint during the process as sometimes newer TWRP versions have problems with older Android firmware! Step 3. Power off your Pixel. Then hold down Volume Down and Power buttons together until you enter the bootloader menu. Step 4. Use volume keys to select, “Recovery mode” then hit the Power key to enter TWRP recovery. Step 5. (Custom ROM users ONLY) If you are using non-stock firmware but a custom ROM such as Resurrection Remix, you will have to do a factory reset. If you have stock firmware, skip this step. Step 6. Use Install menu to install the OTA you downloaded earlier. Step 7. When that’s done, you can also use the Install menu to install Magisk zip file. Step 8. 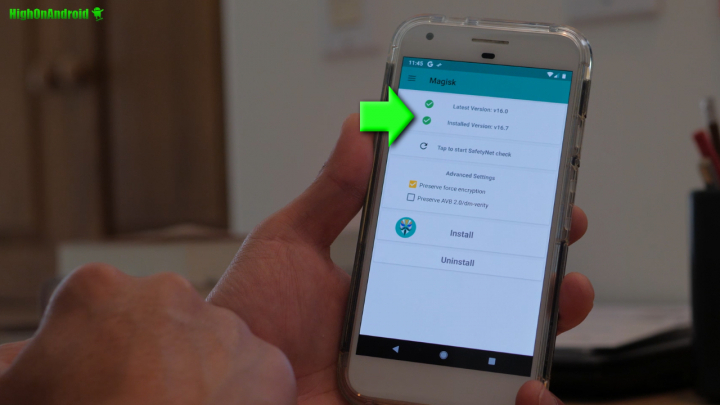 When Magisk is done installing, also install TWRP installer so you don’t lose TWRP recovery. If you don’t do this step then next time you want to use TWRP, you will have to use your computer to flash TWRP. Step 9. 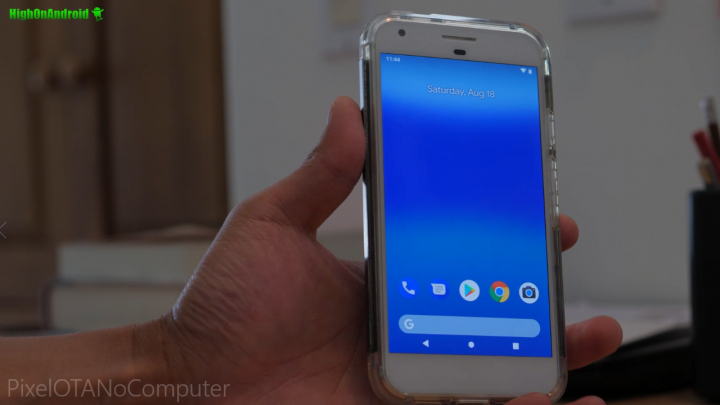 Reboot and your Pixel should be now updated to the Android version of the OTA! Step 10. You should also have a fully-working root with Magisk. If you don’t see Magisk Manager app for some reason, install the Magisk Manager APK manually using a file explorer. 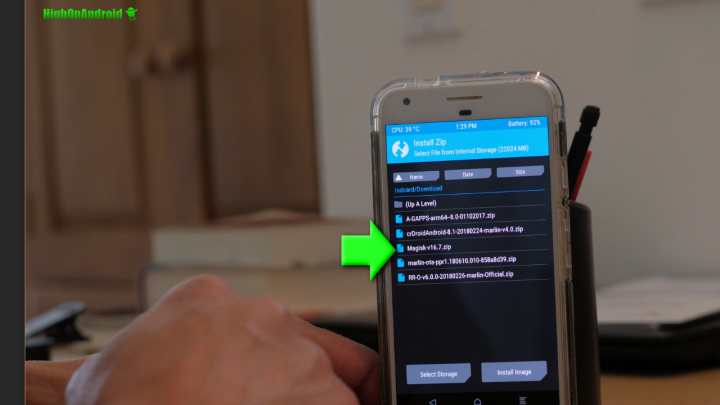 If you don’t have full root(which happened to me in the video), simply reboot to TWRP and reflash Magisk ZIP file. Q: My TWRP recovery is encrypted! A: Turn off your security before following this tutorial such as your fingerprint security, set it to just regular swipe. You can turn it back on after the update. Sometimes newer TWRP recovery do not work with older Android versions. Q: I am in a bootloop after upgrading my stock firmware! A: Sometimes Magisk can cause this if it is not compatible newer firmware, flash the Magisk Uninstaller in TWRP recovery for fix. Q: I lost my TWRP but my phone is rooted! A: You can use Flashify app to re-flash TWRP if your Pixel is still rooted. Next story Xiaomi Mi 8 Unboxing! Previous story Why Rooted Android Smartphones are Actually More Secure!